Paul Whitehead came to live in a house later known as Colne Lodge, Twickenham, in about 1755. This property stood on the north side of the Staines Road at the end of the Meadway. The son of a prosperous London tailor, he was first apprenticed in the same calling but became a law student until, after a financial blunder, he was detained in the Fleet prison for some years. It was from here that he started writing and publishing political squibs, notably in 1733 State Dunces, inscribed to Alexander Pope. Marriage in 1735 to Anna, only daughter of Sir Swinnerton Dyer, Bart, probably enabled Whitehead's release from prison. Considerable notoriety followed his association with "The Monks of Medmenham Abbey" (the Hell-Fire Club, founded by Sir Francis Dashwood) of which he became the secretary and steward. He was known to Sir John Hawkins while living at nearby Twickenham House in Heath Lane, who said of him that "in his conversation there was little to praise; it was desultory, vociferous and profane". Matilda Hawkins was more charitable, saying: "the recollection of him...is so pleasing to me, that I cannot reconcile myself to the contemptuous manner in which his memory has been treated, or believe the general assertion that he was unworthy", and much else besides. This was a reference to the Duke of Argyll's famous horticultural estate at Whitton. 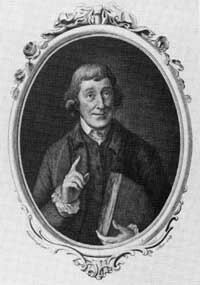 He was still in occupation at Colne Lodge when he died, on 30 December 1774, where he had spent the last three days of his life burning all his paper. He is buried in St Mary's, Teddington, minus his heart which, in accordance with his will, was taken, in an urn, and placed on a pedestal in the Dashwood mausoleum in West Wycombe churchyard. Apparently his heart was sometime taken out to show to visitors: until 1829 when it was stolen. At St Mary's, Paul joined his wife who had been buried there in 1768. She was connected with Teddington through her uncle William Belitha, her mother's brother. Belitha had lived at the Manor. When he died, in 1759 he left Anne Whitehead an annuity "so as not to be to the debts and control of her husband".